On the foothills of the Paardeberg Mountain, Quagga Craft Beer was willed to life, paying homage to the majestic Mountain Zebra that once roamed this region. We believe in good craftsmanship and with small batches being brewed and bottled we know we can keep a close eye on perfection. 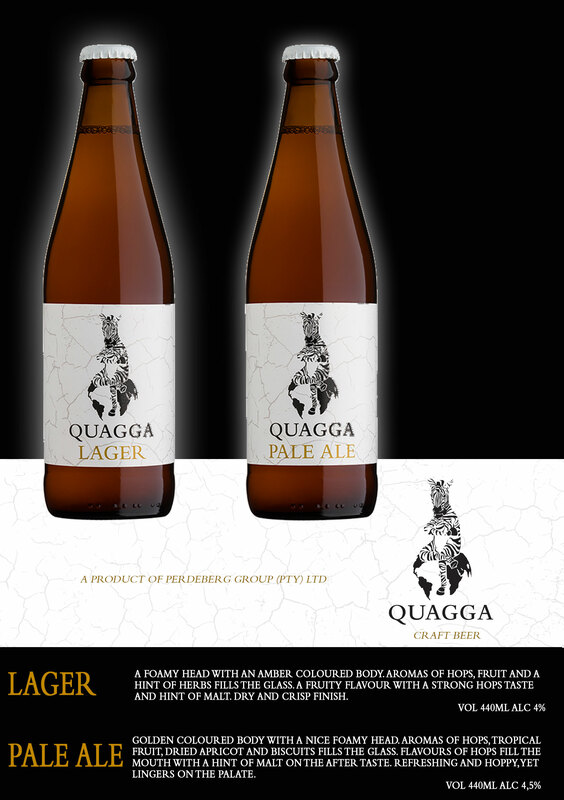 Quagga Craft beer is an exclusive range of beers for young professionals and the assertive beer drinker.